Welcome to Fish Window Cleaning! 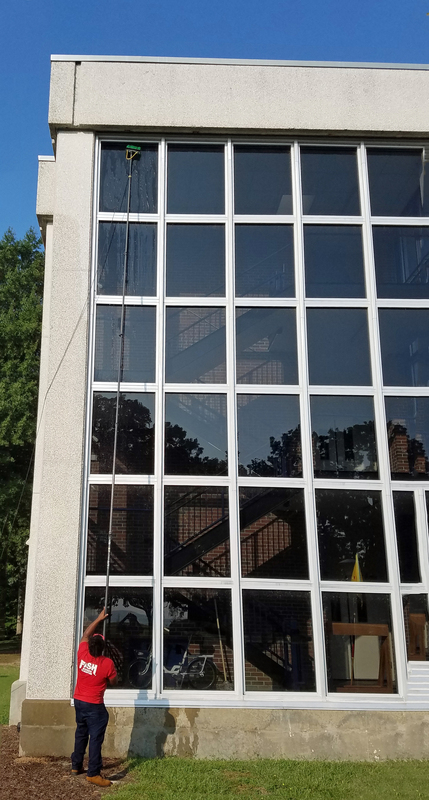 We are your local window cleaning company serving Williamsburg, Hampton, Newport News, Yorktown, Poquoson, Seaford, and Fort Monroe, VA! We know you want a reliable window cleaning company that you can count on to make your home or business sparkle all year long. With Fish Window Cleaning, that's exactly what you'll get. When you choose FISH, you know that we are committed to your satisfaction! Our detailed, on-site estimates are free. 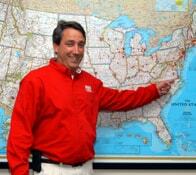 Our team is licensed, bonded, and insured. 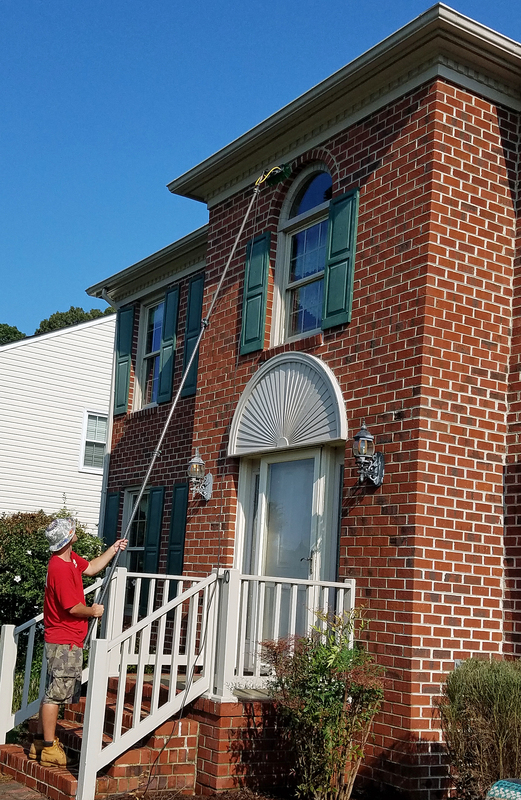 We understand that you want your home to look its best all year long but sometimes chores like window cleaning drop to the bottom of your to-do list. Let us take this time consuming task and make it easy! We can clean all of the windows in your home inside and out quickly and quietly. Our window cleaners are respectful of your home; we wear clean shoe covers and use absorbent cloth pads to protect your floors. We even make sure you are thoroughly satisfied with our work before we leave. If something isn't right, we'll make it right! Click here for more information about our services for your home. As a locally owned and operated business, we understand that the needs of our local business owners vary. That's why we can create a customized program that will meet your needs, budget, and schedule. Whether your business is a retail store, a restaurant, an office, or any other type of commercial building, you can trust a member of our team to recommend a program that will work best for you. Let us help you give your customers a great first impression with shiny, streak-free windows all year long! Click here for more information about our services for your business.